Home » Library » Knowledge Base » Banking and Finance » Banking » Current Account » What is the cheque clearing process in Malaysia? How does the cheque clearing process work? How long does it take for a cheque to clear? When you deposit a cheque into your account, your bank which is the collecting bank will send it to specific clearing centres to be sorted and dispatched to the drawee bank for payment. The time taken for the money from the cheque to be credited into your account will depend on the number of days required to clear the cheque. The number of clearing days may be affected by public holidays which fall within the clearing period. Generally, house cheques do not go through the clearing process. As such, you will receive your money the next day. However, the time taken may vary from bank to bank depending on the duration required to verify the particulars of payment. Local and outstation cheques however, need to go through the clearing process and the time required for your cheque to be cleared would depend on the location of the branches. Generally, local cheques would be cleared within 2-3 working days. The clearing period for outstation cheques may take 3-8 working days. However, you are advised to check with your bank as to the actual date the funds will be available. 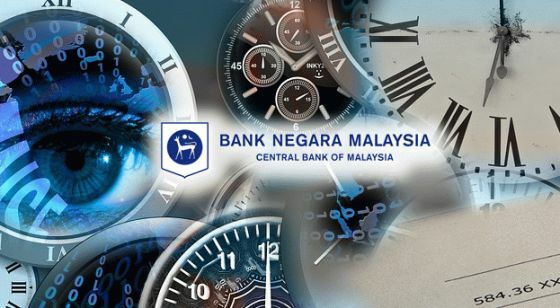 Update: Bank Negara Malaysia (BNM) introduced the Cheque Truncation and Conversion System (CTCS) on April 8, 2008 to replace the current cheque clearing system. With the introduction, beneficiaries of outstation cheques will be able to use the funds within a shorter period of time, compared to the current dayhold of 5 to 8 working days. One of the key objectives of Cheque Truncation and Conversion System (CTCS) is to achieve same day clearing. Therefore, under the CTCS environment, it is envisaged that all cheques deposited within the normal banking hours, irrespective of the branch of deposit, will be cleared on the same business day. All cheques, whether local or outstation, including those in the East Coast, Sabah and Sarawak, will be cleared centrally in Kuala Lumpur under CTCS. Can I issue a cheque that bears a date on a Sunday? Can I cash a cheque that bears a non-existent date? What is an ante-dated cheque?